← Review of Papa Whiskey!! 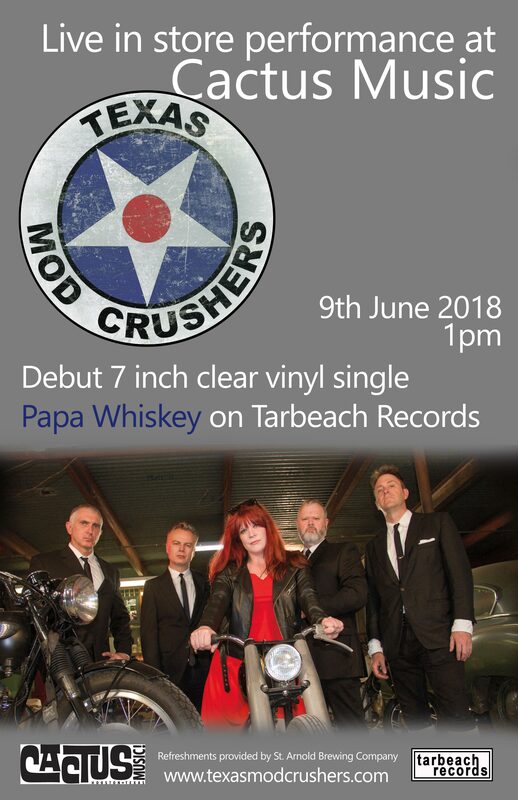 Come on down to Cactus Music on June 9th for a live set from your Texas Mod Crushers! We really will have the new vinyl singles on hand for purchase this time! This entry was posted in Live Shows, Music, Public Appearance. Bookmark the permalink.